EOS - European Organisation of the Sawmill Industry | News - Revision of the renewable energy directive. Revision of the renewable energy directive. On 27 June 2018, EU ambassadors endorsed the provisional agreement reached by the Bulgarian Presidency on the revision of the renewable energy directive. Negotiators of the Bulgarian Presidency reached a deal with the European Parliament at the fifth trilogue meeting, in the early morning of 14 June. Today's endorsement means that the Council has approved the deal. This new regulatory framework will pave the way for Europe's transition towards clean energy sources such as wind, solar, hydro, tidal, geothermal, and biomass energy. It will also allow Europe to maintain its leadership role in the fight against climate change and in meeting the goals set by the Paris Agreement. 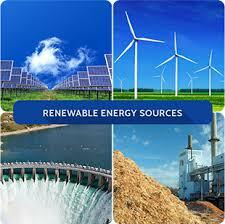 The agreement sets a headline target of 32% energy from renewable sources at EU level for 2030. There is a clause to review this target in the event of changes in demand of energy consumption and to take account of the EU's international obligations. b) If not, sustainability criteria have to be ensured at sourcing level. Biofuels, bioliquids and biomass fuels used for compliance with the Union target laid down in this Directive, and those which benefit from support schemes, should therefore be required to fulfil sustainability and greenhouse gas emissions savings criteria. In order to minimise the risk of using unsustainable forest biomass for the production of bioenergy operators should put in place a risk-based approach (the Commission will develop correlated operational guidance on the verification of compliance with the risk-based approach). Art 26 states “Biofuels, bioliquids and biomass fuels produced from waste and residues, other than agricultural, aquaculture, fisheries and forestry residues, need only fulfil the greenhouse gas emissions saving criteria. No further amendments are expected. As reported in the Council document, “if the EU Parliament will Parliament adopt its position at first reading, in the form set out in the compromise package, the Council would then approve the European Parliament’s position and the act shall be adopted in the wording which corresponds to the European Parliament’s position”. To see the final document, click HERE.